The festival was to deliver kimchi made with Mother’s love to our neighbors in need. 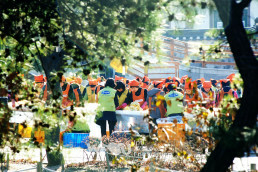 IWF held the “Kimchi-Making Festival With Foreigners for Sharing Mother’s Love” on November 28, 2007, at the Namsan Korean House Village. 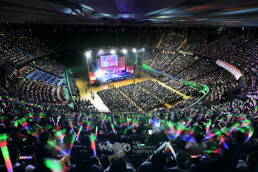 Chairwoman Zahng Gil-jah, 150 IWF women members, and many foreign members took part in this festival. The foreign members who had a good time to experience Korean culture are from Russia, Vietnam, Sri Lanka, Nigeria, Thailand and Kazakhstan. Foreign members and tourists are making kimchi. The Namsan Korean House Village is a famous sight for foreigners who want to know about Korea. Many foreigners watched the kimchi making festival curiously, and also participated in it. Becky Dresalhouse (63), who came from America to see her son who is teaching English in Korea, told that she lived in Korea 30 years ago and were still enjoy kimchi at home in America. She also added that her husband’s favorite food was sliced radish called Kattugi. Making kimchi with an apron thanked the IWF members repeatedly, saying, “I’m so happy to be able to come closer to Korean culture and help others in need.” Wachi Raiko (49), a Japanese lady, was also excited to be able to experience kimchi-making. After tasting the kimch, she said, “This kimchi is more delicious than the one I had in Japan.” She commented with pleasure, “This festival is a wonderful and great event to deliver a mother’s love to our neighbors.” Some German tourists were moved by the purpose of the festival and helped with carrying the kimchi boxes. 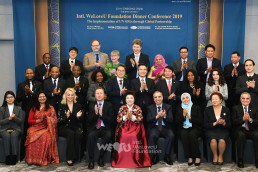 The IWF members shared their feeling about their volunteer works, saying, “I’ve never thought kimchi making is such fun. I’m more pleased with the fact that we are working together in love and are able to donate kimchi to our neighbors in need.” The members had lunch with warm rice and soup supported by the members from Mapo area. After they took commemorative pictures with happy smiles, the event finished. 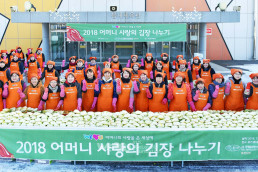 From that afternoon to the next day (29th), the kimchi heads of 1,500 were delivered to senior citizens living alone and 300 parentless households in four regions: Jung-gu, Jungrang-gu, Seongbuk-gu and Songpa-gu. Some were delivered through the regional ward offices and some were delivered by Chairwoman Zahng Gil-jah and the IWF staff who visited home personally along with rice and some side dishes. Senior citizens living alone or with their grandchildren were suffering financial difficulties and did not even think of making kimchi. When the IWF members delivered kimchi to them, they greatly appreciated it. Chairwoman Mrs. Zahng comforted the senior citizens and the parentless households, even supporting heating expenses for those who couldn’t afford during winter. The ward office officials and beneficiaries said, “Above all, we are grateful that this kimchi was made of love.” When our mothers made kimchi, they used to cut a small cabbage leaf and gave it to us with ingredients. The taste could not be compared with anything in the world; it was because our mothers’ love and devotion were contained in it. 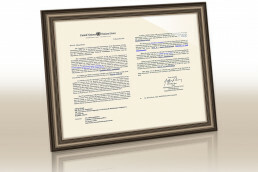 IWF will continue to make an effort to deliver that kind of love to our neighbors.